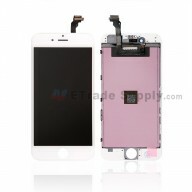 This LCD and digitizer assembly consists of three layers which are hermetically encapsulated, making it very difficult to change any single layer without damaging the others. 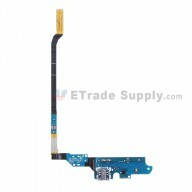 Therefore a broken digitizer, LCD (AMOLED), or glass is usually replaced by this assembled part. Like the S3, the Galaxy S4 display uses a Super AMOLED capacitive touchscreen, however a little larger at 5.0 inches and with a higher resolution of 1080 x 1920 pixels. 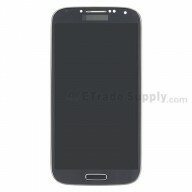 The version number, in this case I9500 is clearly marked on the back for easy identification of your part. 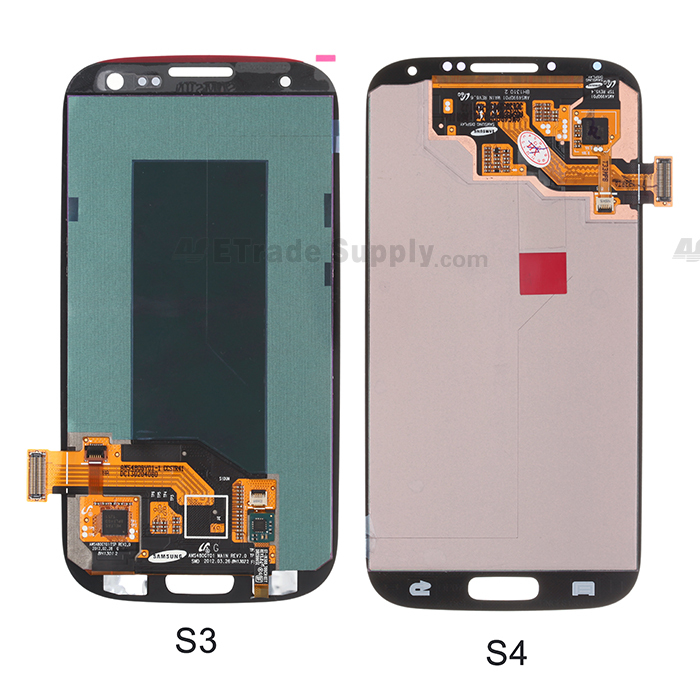 This Samsung Galaxy S4 GT-I9500 LCD Screen and Digitizer Assembly comes with front housing, which is easier for you to replace the part. 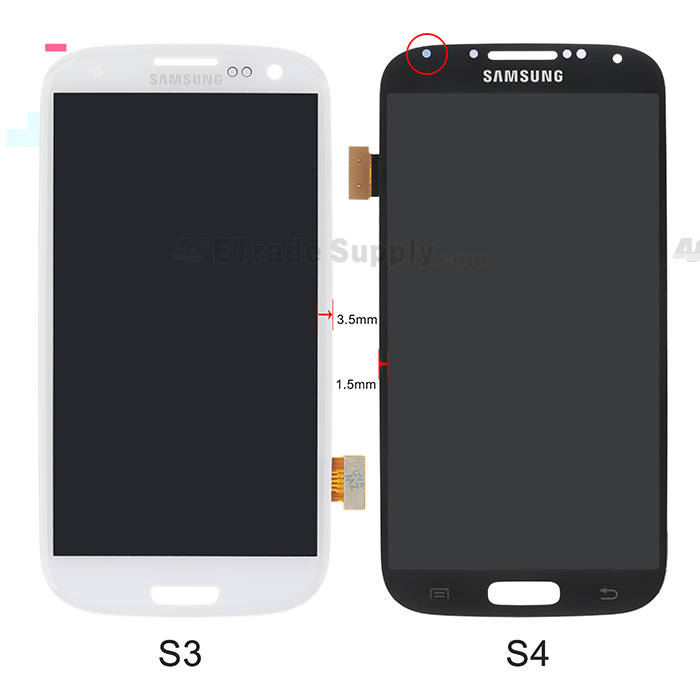 The installation of the Samsung Galaxy S4 GT-I9500 LCD Screen and Digitizer Assembly with Front Housing should be done by a qualified person. ETS is not responsible for any damage caused during installation. In order to replace the LCD Screen and Digitizer Assembly with Front Housing you will have to remove the battery door, battery and motherboard step by step carefully. This is a difficult process, you can learn more by watching the video below. Really easy to install thanks for the video. I bought this replacement part a few weeks ago and since then I have been experiencing two issues. The first one is that whenever i am outside on a sunny day using my phone the screen totally changes color. It looks black with a tint of green and after some time it changes back to normal. Sometimes I have to restart it to get it back to its usual color. The second one is that one of the sensors doesn't work. If i am on a call and I move the phone from my ears the light does not come on unless I press the home button. All the parts are correctly placed into the phone so I am not sure why this happens. Our WEA Specialist will solve your problems as soon as possible after you applied for a WEA processing request.